In December 2015, Ancestry rocked the genealogy community when they suddenly announced that they would be discontinuing Family Tree Maker, effective immediately. Users were outraged and heated protests began flooding in. The community began to look for alternative software. 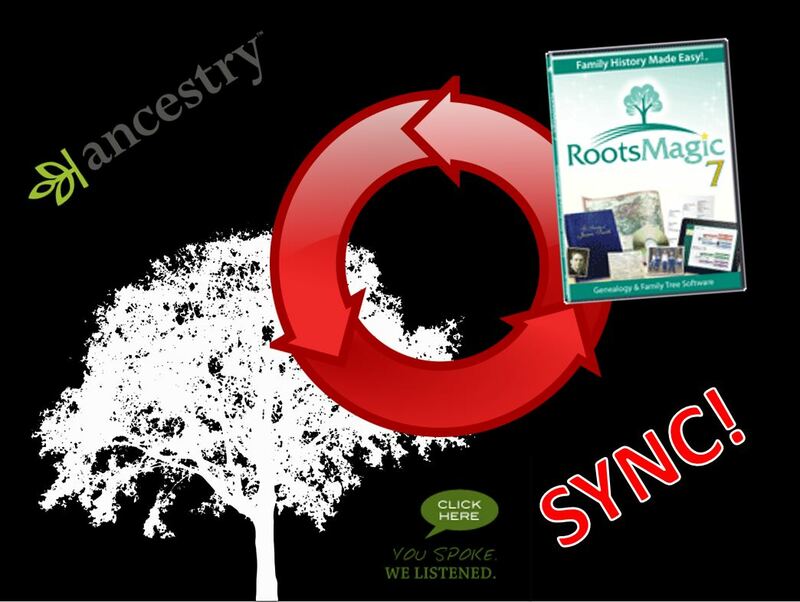 On February 2, just before RootsTech 2016, Ancestry announced that not only had they extended support on the software through MacKiev Software, they had also signed an agreement with RootsMagic, to connect Ancestry with their software by the end of this year. 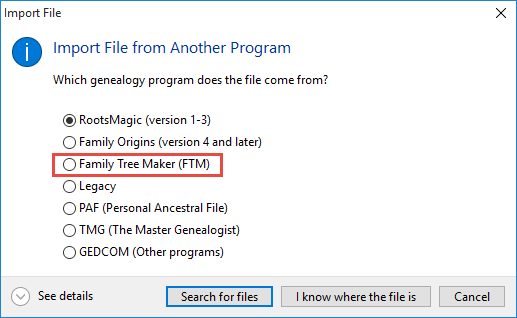 As part of the deal, RootsMagic announced that they would be creating a direct import for FTM files so that users did not have to go through the labourious process of exporting a GEDCOM file in Family Tree Maker and importing that GEDCOM into Roots Magic. To import your FTM data into RootsMagic, choose File, Import from the main menu. Choose Family Tree Maker as the data source. From there, you can either select ‘I know where the file is’ or let the import search your hard drive for FTM files. Once you’ve located the correct file, choose the import options and the name and location where you want to save your new RootsMagic file. What’s next? 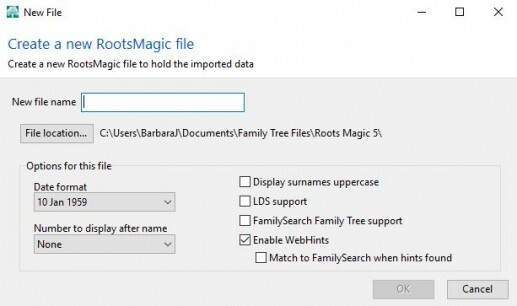 RootsMagic is working on the ability to search your Ancestry tree and Ancestry records and to synchronize them directly with your RootsMagic data. But GEDCOM files from Family Tree Maker, while mostly effective, were often lacking data and details only found in the original file. That is true of most GEDCOM imports from genealogy software. 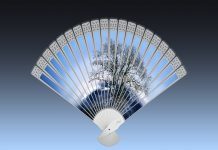 I needed a good GEDCOM for my online tree from RootsMagic and I’ve been careful to avoid some of the features (such as fact sharing) that don’t export/import in a GEDCOM. Luckily now, there is a FTM import option in RootsMagic that seems to do very well in my limited tests.